Only 15 reasons to visit Thailand? I can think of so many more, and so can you, right? Thailand is that kind of destination; it’s also known as the Land of Smiles, so it’s guaranteed to bring a smile to your face. It’s a well-developed country that’s still wild enough to offer you the kind of adventures you want. Whether you’re into exploring forests, or into mountain climbing, trekking, culture studies or food, Thailand does not disappoint. 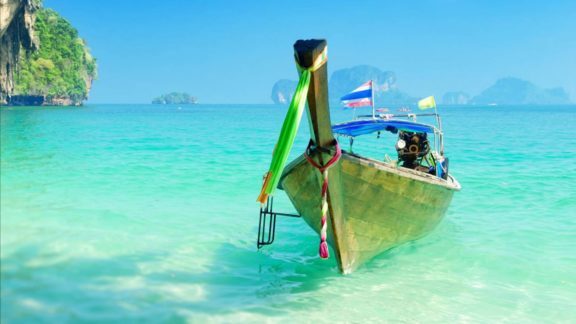 Here are 15 grand reasons for packing your bags for Thailand right now. 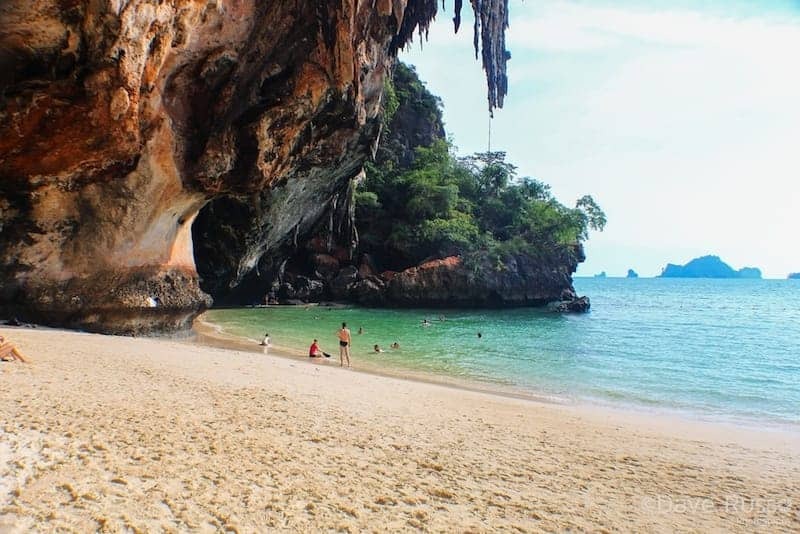 Railay Beach in Krabi province is a beach-lover’s delight with white sands, clear blue water and sweeping palms. 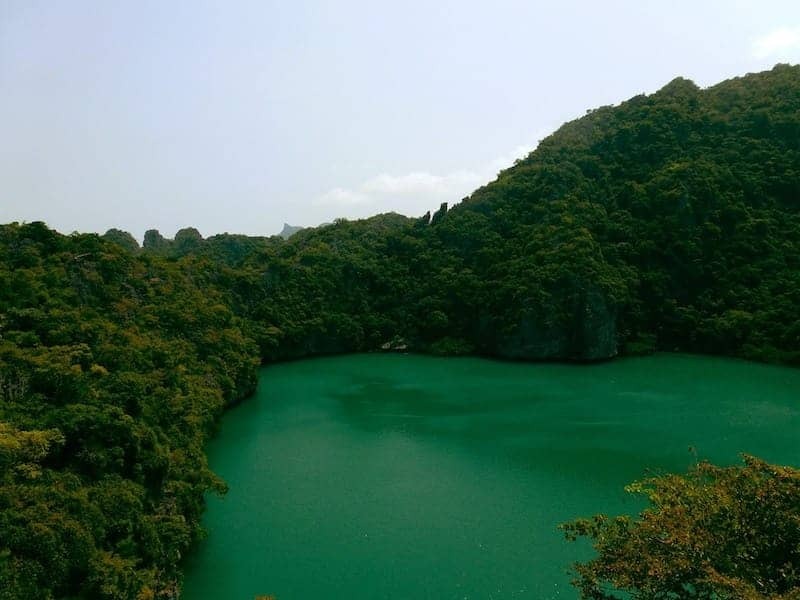 Here you’ll find towering limestone cliffs that attract mountain climbers, and a rugged terrain that invites trekkers. 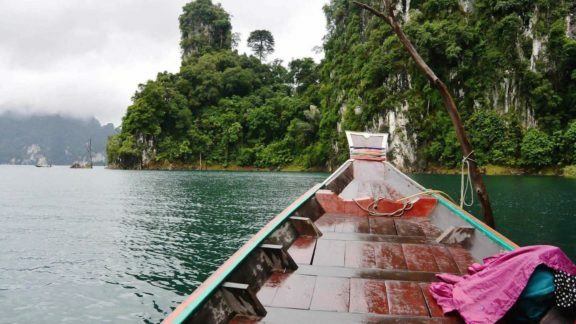 You can also go elephant trekking, whitewater rafting, snorkelling and kayaking at Railay Beach. 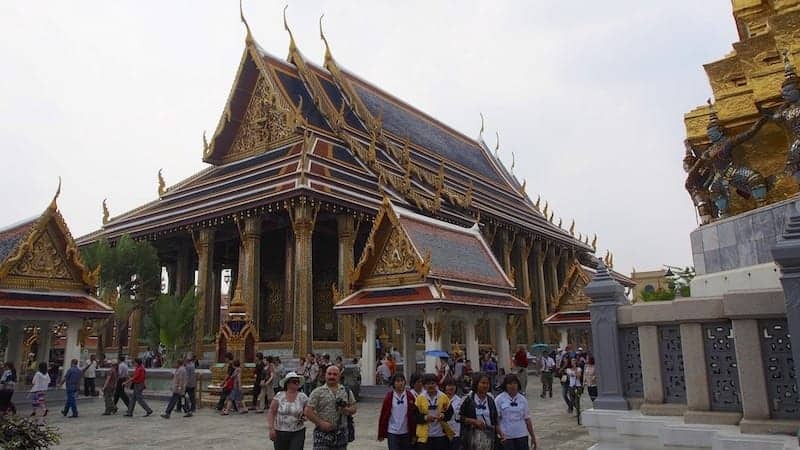 The Grand Palace in Bangkok is a visual treat of enormous proportions. 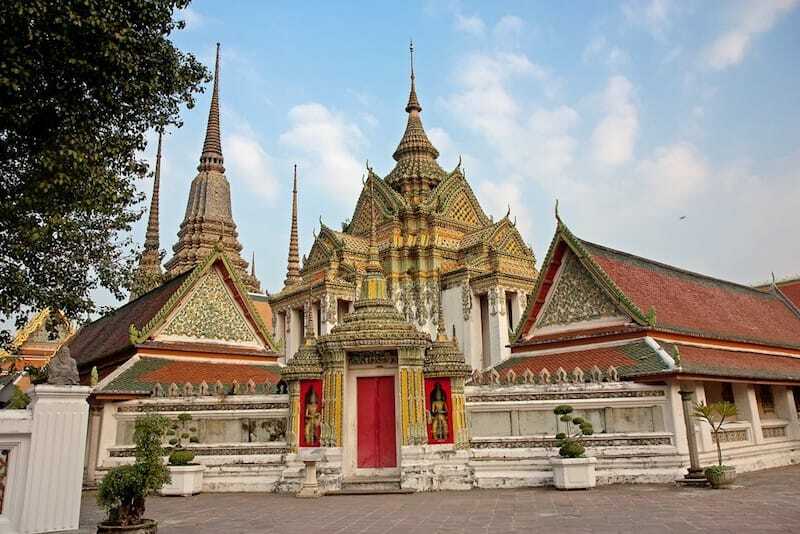 The grounds have several ancient relics, royal halls and temples including the Wat Phra Kaeo, Temple of the Emerald Buddha. This temple is famed for housing a piece of bone from the enlightened Buddha. 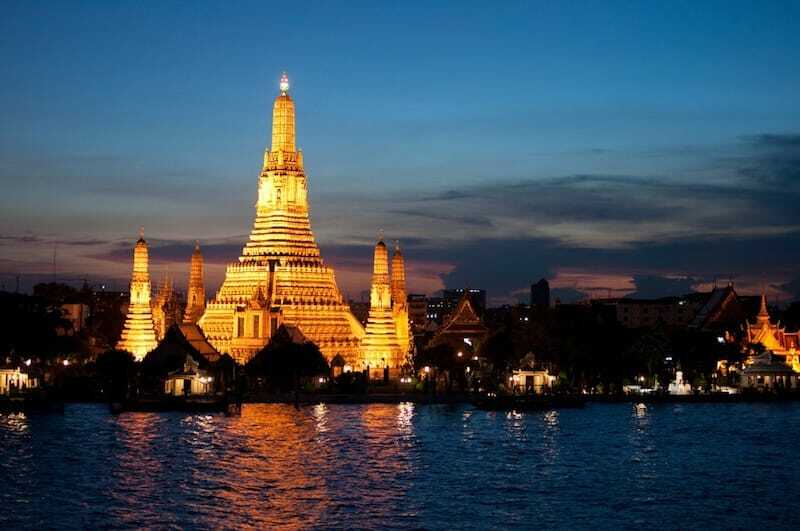 Be sure to check out the nearby Wat Po and Wat Arun, the Temple of the Dawn as well. Stay at Lub d Bangkok Siam when you’re in Bangkok! 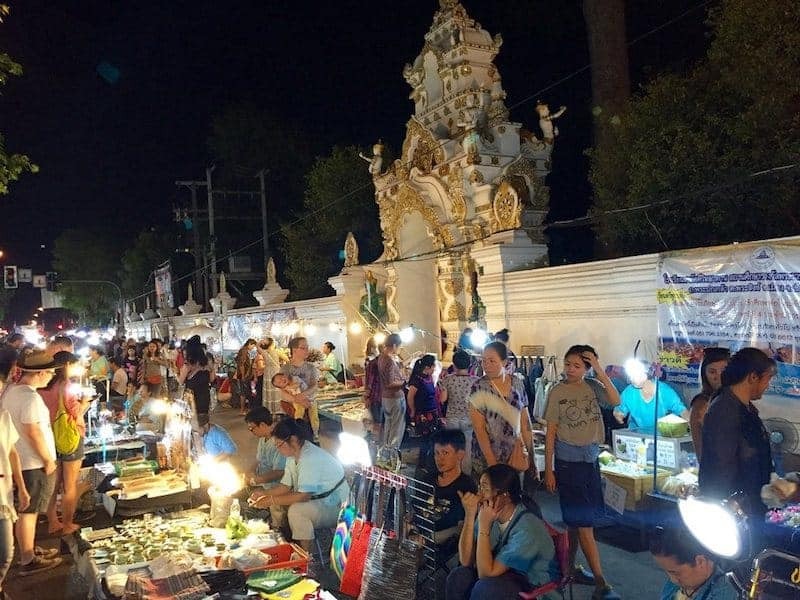 Vendors line both sides of the street, selling every imaginable treat – chicken satay, samosas, crab cakes, pad Thai, fried bananas, sweet rotees, sweet rice and mango and fresh fruit shakes. Then there are stalls selling organic handmade soaps, hand-dyed tribal textiles, essential oils, incense, musical instruments, paintings, wall hangings, and more. Sign up for a trekking adventure at Khao Yai National Park and you’ll get to see more than your share of elephants. You can spend a day with them, bathing them, and feeding them in the mornings. Watch them play the goof at the waterfalls. Several species of birds of prey, and other tropical creatures abound in the lush landscape forest. 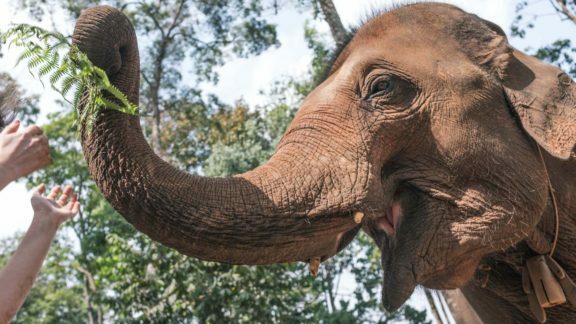 If you like elephants consider visiting this elephant sanctuary in Chiang Mai. Explore the haunted and yet romantic ruins of the ancient city of Ayutthaya, where ruins of old palaces and temples still stand. 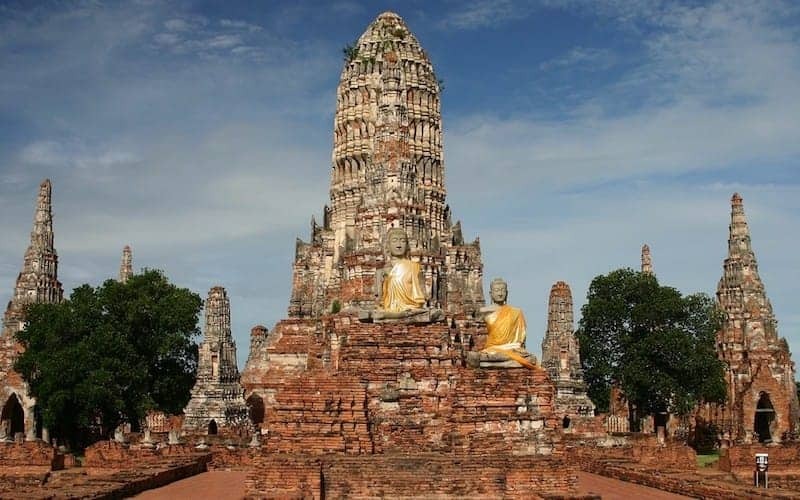 Ayutthaya was Thailand’s former capital, and is located only a short distance from the current capital, Bangkok. Here you’ll observe several foreign settlements as well which will give you an idea of the influence other countries have had on Thailand. Doi Suthep is a mountain that overlooks Northern Thailand. 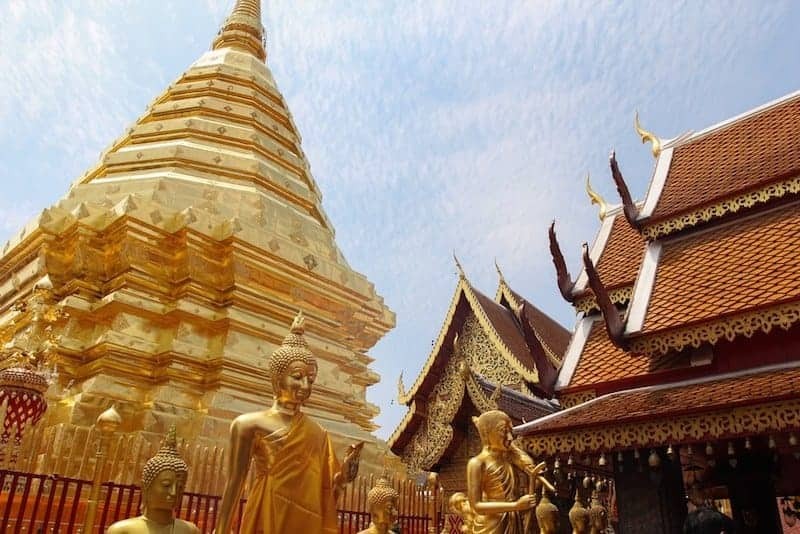 Wat Phra That, located in Doi Suthep, is a major pilgrimage for Buddhist monks and devotees. This awe-inspiring temple has an impressive monument on top that is 24 meters tall. It is gold plated from the top to the bottom and is covered with intricate religious carvings. 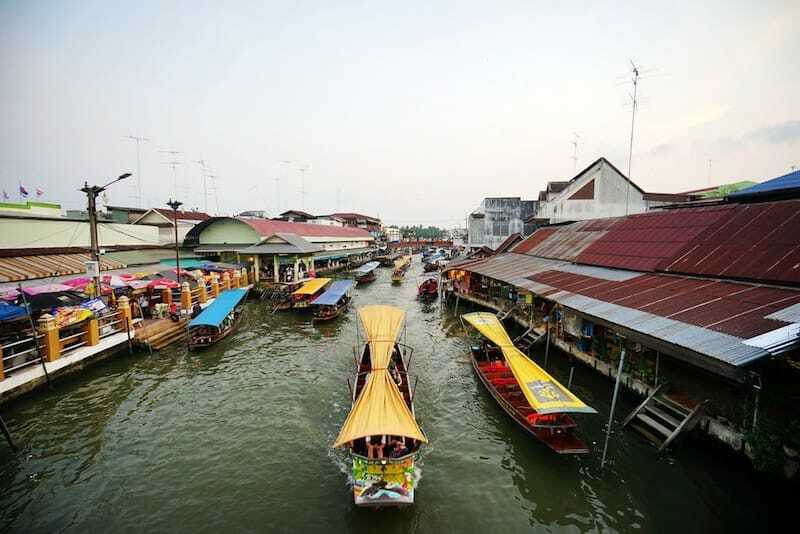 Thailand’s floating markets offer you a great chance to shop and eat while supporting local vendors. These floating markets sell everything from food, to fresh veggies and fruits to souvenirs. You can walk on the connecting bridges, hopping from one floating market to the other. The shops are set up on rafts, boats, wobbly bridges and just anything that floats. Wat Pho is a Buddhist temple, one of the largest and oldest in the capital. It houses the 46-meter-long and 15-meter-high giant reclining Buddha at its very core. This stunning religious relic is awe-inspiring, as is the rest of the temple with its glittering stupas, several prayer halls, sculptures and carvings and a traditional Thai massage school. What better place to party your nights away than to head to the Full Moon Party in Thailand? 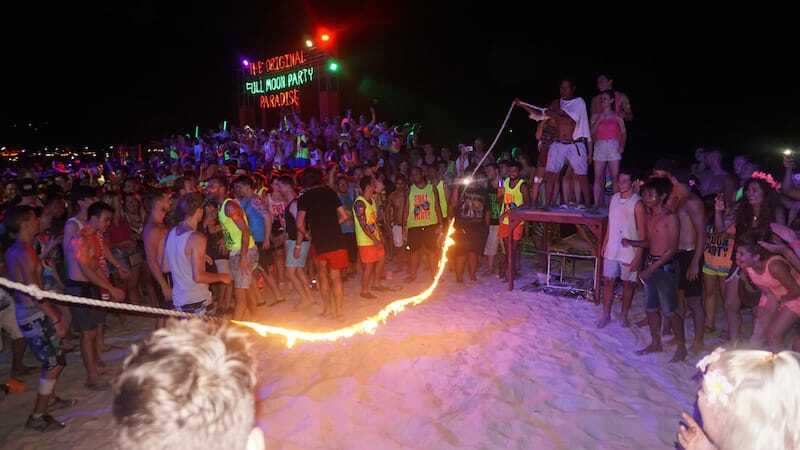 This is an ongoing party where the festivities go on all night, at the island of Koh Phangan on Haad Rin Beach. Get your body painted with rude neon colours, pull on your most daring bikini and swimsuit and you’re ready to be part of this infamous party. There’ll be fire shows and music by famous DJs and dancing and booze all night. Wat Arun is a beautiful temple that shines in the sunlight. 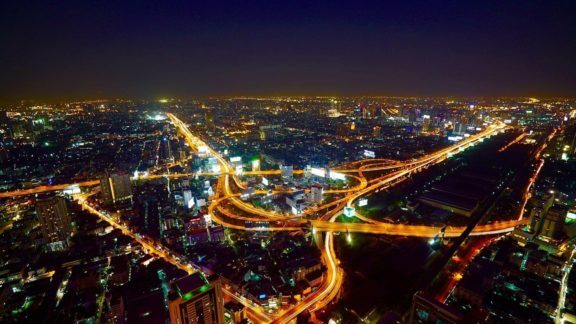 It is located on the main artery of Bangkok, the Chao Phraya River. It was built on the banks of the river for strategic reasons in the early 19th century. However, today the temple’s location only adds to its beauty and its charm. This temple is best viewed during sunrise or sunset when the sun’s rays bathe the temple in a golden light which reflects off the gold plates on its domed roof. Stay at Lub d Bangkok Silom when in Bangkok! 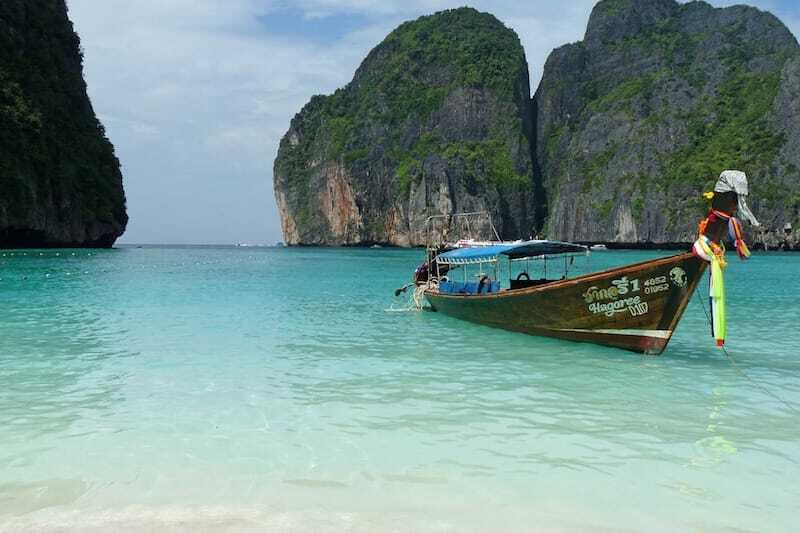 Maya Bay is a secluded beach in Thailand that was made famous in the movie The Beach, starring Leonardo DiCaprio. This beach is located on the island of Koh Phi Phi. It is a pristine beach with sugar-fine white sands and turquoise, sun-kissed waters. It’s an amazing stretch that is famous for its beauty and its seclusion. It’s a famous tourist spot and Maya Bay has been closed to tourists for a while to help the beach recover. Check to see whether it’s open when you’re in Thailand. And please take your rubbish home with you! 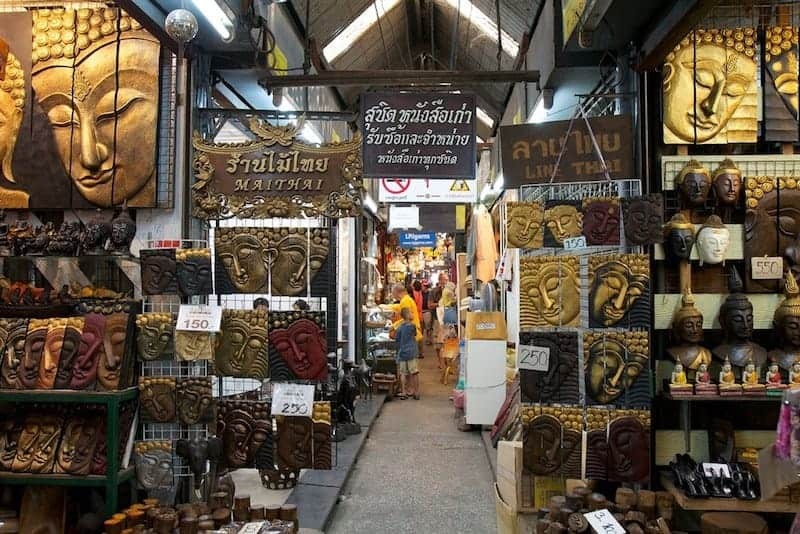 The never-ending Chatuchak Weekend Market in Bangkok is probably one of the largest markets in Asia. Here you’ll find aisle upon aisle of vendors selling everything you need, want and might possibly think of wanting. Keep your bags close as you could lose them in the crowd. Also keep your change in baht handy for quick transactions. 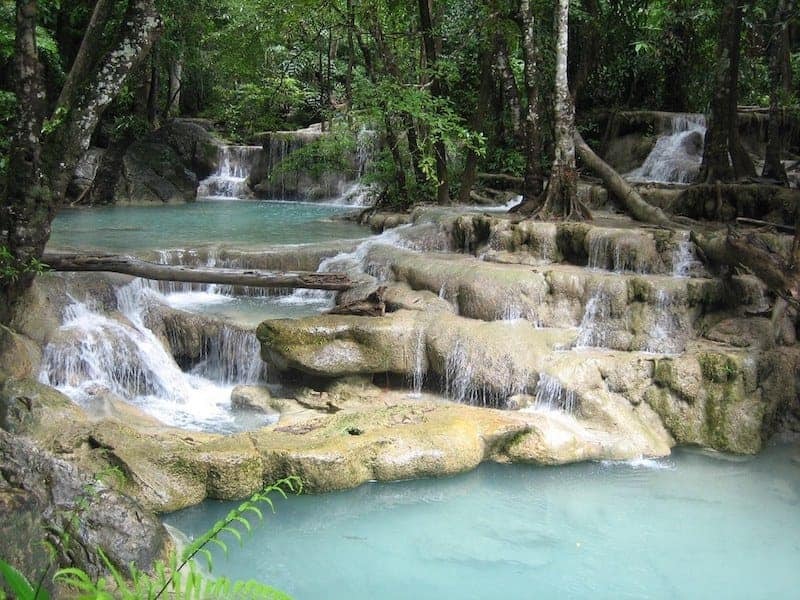 Erawan Falls is a beautiful waterfall that spans over 1.5 kilometres. 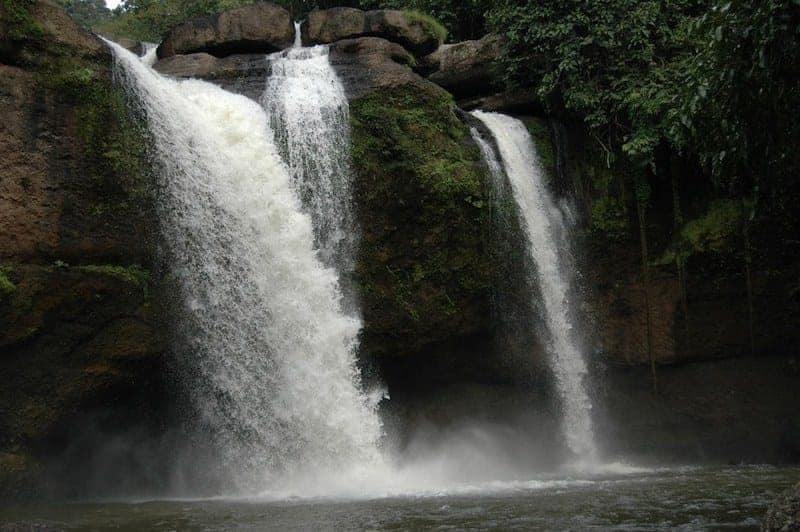 It is a seven-tiered fall, located in the Erawan National Park in Kanchanaburi. Several beautiful, cool emerald pools are found at each level of the falls, which adds to the beauty and appeal of the place. One of the best things to do in Thailand is to visit Mu Ko Ang Thong, a national park in the Gulf of Thailand that consists of 42 islands. You can go island hopping and stay in lovely bungalows. There are some bizarre rock formations that you can climb. The beaches are sun-kissed, and there are fantastic opportunities for diving and snorkelling. 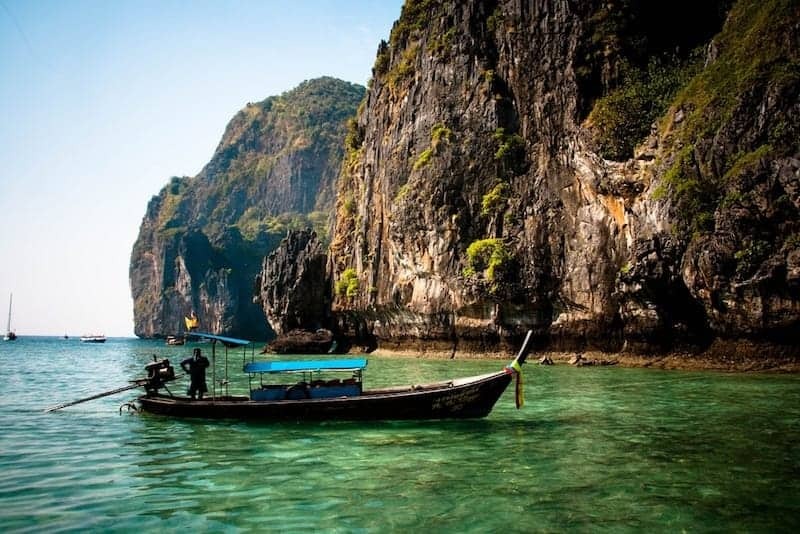 Krabi has another delight for tourists – the Phi Phi Islands. Visit Monkey Beach on Koh Phi Phi and enjoy the rambunctious creatures as they romp around, stealing your food. At this island, you can go kayaking, snorkelling, boating, swimming, diving and much more. The Koh Phi Phi Islands are a tourist favourite, and a great reason for filling out your Thailand visa application right away. As you can see, there are loads of things to do in Thailand… The country’s sheer beauty is one major reason to visit it. Its national parks, temples, palaces, bars, nightclubs, markets and vibrant culture and food offer other reasons. Author: Neha Singh is an avid trekker, explorer and a true foodie; Neha finds happiness in small endeavours of life and loves to pen them down as a cherished memory. A firm believer that “we have just one life to live and so much to do”, Neha lives every moment to the fullest.